Congratulations to Scott Rhoades who wrote #16-The Hobbit. He is the proud new owner of a $25 Amazon gift certificate. Tied for 2nd place: #4-The Inheritance Cycle by Matt Ratto, #6-Keturah and Lord Death by Michelle Ratto, and #20-Swan Song by T.J. Reed. Thanks everyone for playing. Remember to keep your skills sharp and be ready for next March's annual Limerick Contest. 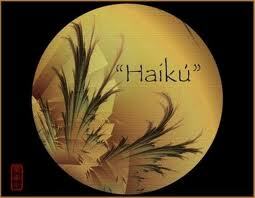 We have lots a great Haiku to vote on. Read through the list below and then vote on the three you like best. Winner will receive a $25 Amazon gift card email. Thanks for the burnt bread. If you kiss me you get soup. I'd like to frost you. "Let the wild rumpus begin"
They all roared out loud. Eats a snack with Brown and Black. I don't care what you girls say. They don't. They just don't. Wait. I did this book last time. Please tick the number of the THREE you like best. 17 is Wee Free Men. 19 is Hop on Pop. 21 is Cannery Row. Thanks for the visit, Julie. It's taken a lot of blood, sweat, and tears to get the ball rolling, but I'm so pleased to see my efforts pay off and the series begin to take off. Woot! Phew! I'm pooped! :) That's the life of a writer, baby. Holy cow! I don't know what I've been missing here, but it looks AWESOME. I will try to be a better blogger. That was fun. My first time writing one of those and I was tied for second! Woohoo haha.